Have you heard of the new update on Instagram? Good news, if you read this post you will know just what to do. It’s no secret that the Instagram algorithm is a closely guarded. No one – outside of the Instagram elite themselves – really knows exactly how it works. But we do have a few clues, and some careful digging revealed a few changes users should be aware of. First and foremost, due to the latest news from Facebook (business pages are about to see less organic reach and engagement, yikes), Instagram is poised to take over as one of the primary social media channels for business. As Facebook’s reach diminishes, Instagram’s will only increase. Make sure you’re ready to take full advantage of it by familiarizing yourself with the updates below. This one isn’t exactly new, but it’s crucial to understanding the Instagram algorithm. Like any other search engine or feed, you want your posts positioned firmly at the top of user’s feeds. And while Instagram used to simply show posts chronological order, that all changed a few years ago. Now, posts with higher engagement will (likes, comments, shares, etc.) will rank higher in Instagram feeds. The number of interactions signal to the Instagram algorithm that “hey, this must be a quality post – people are loving it!” and the algorithm promotes it accordingly. Now though, your posts may be getting less exposure than ever – in fact, it may only be exposed to 10% of your following. The good news is that as your post gains traction and engagement, that percentage will increase. So make sure you’re tagging and using hashtags and CTAs in your post for as much engagement as possible. More good news: it’s not strictly a popularity contest, according to an Instagram spokesperson. A post with less engagement can still appear at the top of a user’s feed if its relevant to them. At the end of last year, Instagram announced that users now have the ability to follow hashtags. They no longer have to search for hashtags they’re interested in; they can simply follow them as they would an account. Top posts using that hashtag will then begin to show up in their regular newsfeed. This is big news for brands. Better hashtag research will mean the likelihood that your posts will continuously show up in your target audience’s news feeds. Better yet, you can encourage your audience to follow your own hashtag. You know the new Instagram “pods”? Pods are groups of people who are willing to help each other out by engaging on each other’s posts through likes, comments, shares, etc. And as we covered before, more engagement = more views of your post. This all sounds well and good, right? Well, Instagram may not think so. In fact, Instagram seems to have no love for pods, and could go so far as to shadowban users who use pods. 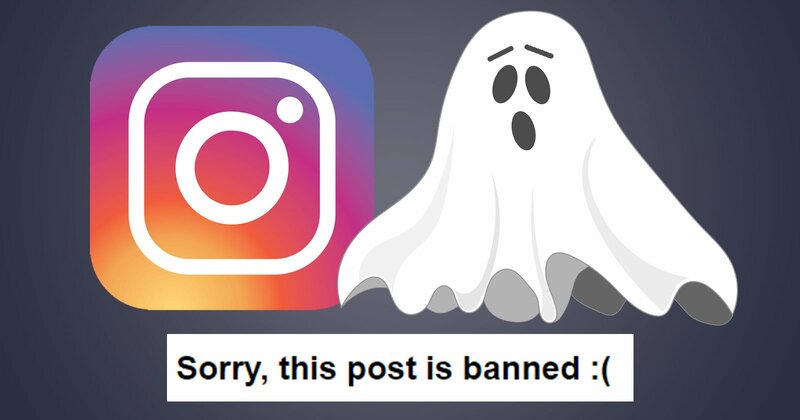 A shadow ban is like being blacklisted by Instagram’s algorithm: your rank in the algorithm will be significantly decreased, making it very difficult for your content to find its way to user’s feeds. The problem is that the engagement generated through pods isn’t purely organic, and only makes it look like you have a lot of really engaged followers. That won’t sit well with the algorithm, so if you do use pods, do so sparingly. As of now, Instagram users only see posts by people they follow in their feeds, as well as a few Sponsored content posts. But that’s about to change. Instagram’s starting to roll out posts that are recommended for you. This will work similar to Instagram’s Explore page, which is specially curated based on what Instagram thinks you might like. This will likely be content that your friends have liked or what they think you will like based on who you follow or what content you engage with. For example, if you follow a lot of foodie blogs, you’ll be seeing a lot more food content in your feed. You can, however, temporarily hide recommended posts. Simply tap the 3-dot icon above the post and select Hide. Following suit of popular apps like Facebook Messenger and WhatsApp, Instagram now allows you to see when people you were chatting with were using the app. 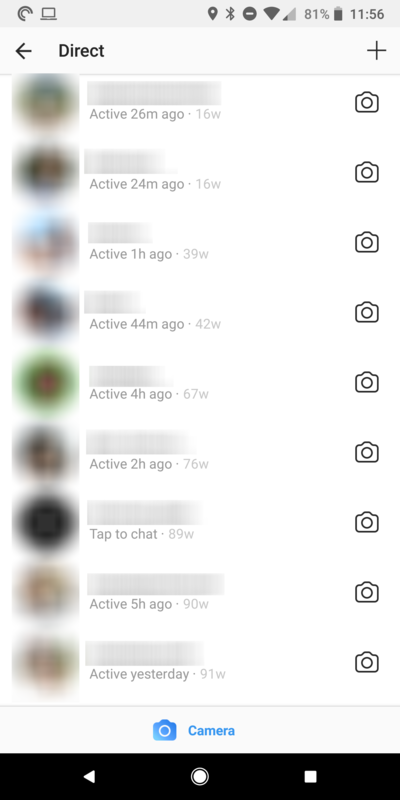 Located on the direct messages screen, Instagram will tell you when the friend you’ve been messaging with was last active. This feature was not officially announced by Instagram and is automatically enabled for all users. But if you feel it’s a little too much information to share with friends, you can choose to disable the feature. Located in Instagram’s settings, the “Show Activity Status” will be enabled by default, but you can toggle it off. Note that if you do choose to disable the function, you won’t be able to see anyone else’s activity information. Again, not all followers will be privy to this information. It’s available only to people you follow or have direct messaged in the past. Some of these changes remain minor. Going forward, businesses have both big opportunities (following hashtags! Hooray!) and a few possible setbacks (it’s even harder to gain exposure in newsfeeds). But being aware of the changes will help you plan and strategize for a successful 2018 on Instagram.